Andrew De Silva’s performance career started professionally as front man and primary song-writer for Melbourne R&B group CDB at the age of 19 but being born into a musical family saw his musical education begin much earlier at the age of 8 years old. 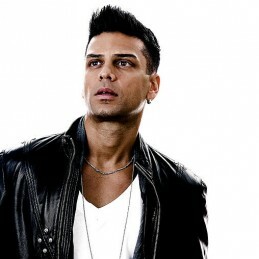 As part of CDB, Andrew De Silva received an ARIA for highest selling single in – Let’s Groove. As a song writer, live performer and a session musician, Andrew De Silva is constantly busy. In the hard to penetrate local music industry De Silva’s vocal diversity is an in-demand asset that has seen him work with some of the biggest names of the Aus music landscape, across various genres and projects. This, along with his command of the guitar and bass guitar has served to cement De Silva’s reputation as an all-round musician.